Dr Prashanth Prithviraj, who recently completed his PhD in cancer biology at The Austin Hospital (Oliva Newton-John Cancer Research Institute) strengthens the practice’s wide range of expertise in all cancer types including clinical trials. After earning his medical degree, Dr Prashanth pursued Medical Oncology training at Calvary Mater Newcastle Hospital, he furthered his education and completed training with a Fellowship in Medical Oncology at The Austin Hospital in Melbourne. Dr Prashanth has extensive research experience and his other qualifications apart from FRACP include Masters of Science (Biotechnology) from University of Western Sydney and Master of Public Health (Epidemiology and Statistics) from the University of Newcastle. Dr Prashanth has presented at major national and international meetings, and authored publications in prominent cancer related peer reviewed journals. Dr Prashanth’s excellent education along with intensive training in treating a wide range of cancers will bring new depth of experience and expertise in treating cancer patients at Ballarat Oncology & Haematology Services. He has a special interest in transitional research and immunotherapy, and he continues to pursue research as a Senior Research Fellow at Fiona Elsey Cancer Research Institute. He is a lead investigator for a number of clinical trials and is involved in the development and conduct of clinical trials. Dr Prashanth is also a Visiting Medical Oncologist at BRICC, Ballarat Health Services. Dr Prashanth is providing a Melton Outreach Oncology consulting service once a month. Teleconference appointments are also available by contacting the office. 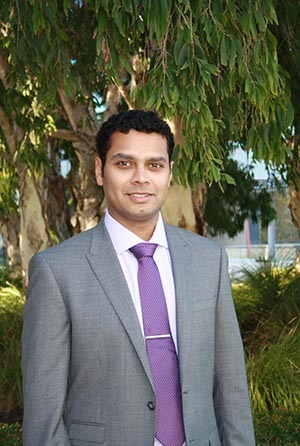 Dr Prashanth has moved to Ballarat with his wife, who works as a GP, and his two children. He believes in collaborative teamwork to deliver the best quality of care possible to patients and their families.